2 February, 2017, New Delhi: The unveiling of Budget 2017 yesterday attracted diverse reactions from citizens and businesses. Citizens have largely been happy with this year’s budget. 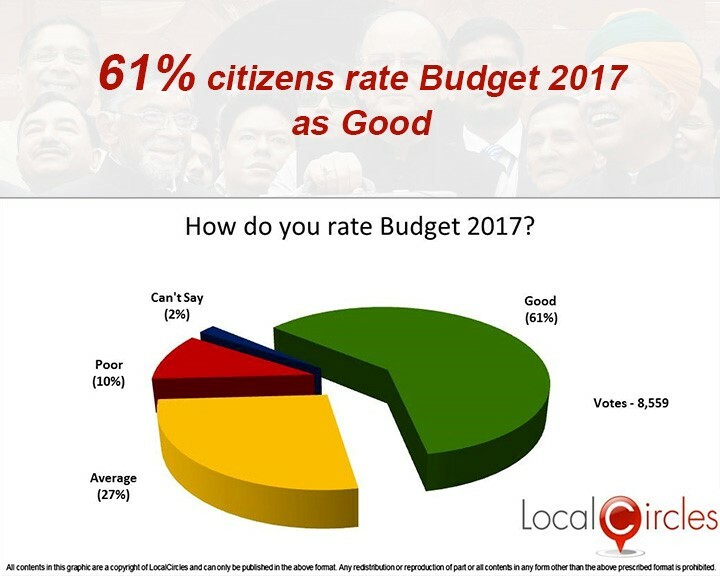 In a poll conducted by citizen engagement platform LocalCircles which had more than 8,500 responses, 61% citizens rated the budget as good, with 27% saying it is average and only 10% saying that it is poor. 2% did not have an opinion. 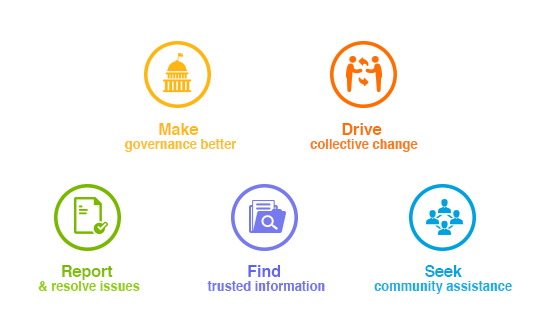 LocalCircles had also been actively compiling a list of priorities that the citizens had proposed for this year’s budget and many of them have been accepted by the government. Citizens wanted infrastructure and agriculture to be the top priority of the budget 2017 and the government obliged by announcing the same today. Government also accepted the demand that safety be the top most priority for railways in the coming year and that investment in improving safety in the trains and on the stations should be increased. The biggest asks by citizens through LocalCircles were on tax reforms and the government obliged by increasing the tax exempt income from 2.5 lakh to 3 lakh and reducing the tax rate from 10% to 5% for annual income between 2.5 to 5 lakh. People whose incomes are above Rs. 5 lakh will also be able to avail a fixed rebate of Rs. 12,500. Some of the other citizen asks via LocalCircles that were delivered were opening more AIIMS like hospitals, reduction of cash donation to political parties and service charge being withdrawn from ticket bookings on IRCTC website. However, some citizen demands were not met in this budget. These included rail flexi fare in premium trains to be replaced with fixed fare increase, infrastructure of existing government hospitals to be improved, improving governance & delivery of government schools, aggressive investment in public transportation system in cities to reduce pollution, use of Swachh Bharat cess corpus to engage citizens and municipality in Swachh Bharat and startup benefits to be extended to startups/SMEs less than 5 years old.